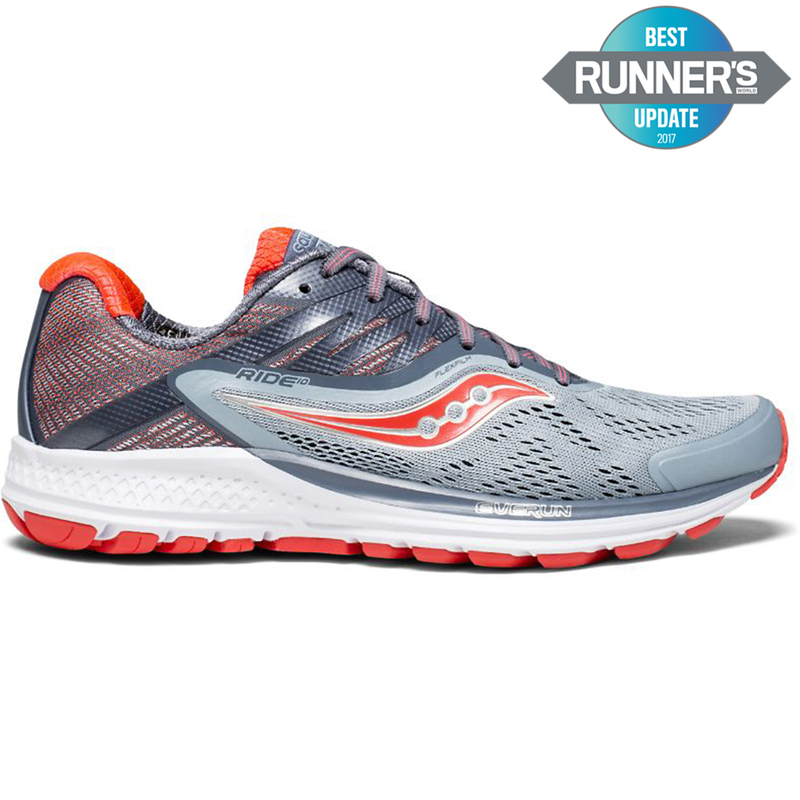 The company's first factory was founded in 1898 at Kutztown, Pennsylvania, on the high banks of the Saucony Creek. In 1910, Russian immigrant Abraham Hyde started a shoe company in Cambridge, Massachusetts, called Hyde Athletic Industries. In 1979 two of Saucony's running shoes were selected in the top 10 by Runner's World magazine (the Hornet was chosen best value) and by the following spring the demand for the product had gone up 20 fold. In the late 1980s, when Saucony became Hyde's dominant brand, the name of the company was officially changed from Hyde Athletic Industries to Saucony. Saucony's shoe boxes once had the phrase "sock a knee" printed on them. The Saucony brand logo represents the Saucony Creek's constant flow, and the boulders lining its creek bed.